Northern coalfields limited (NCL) Has Released Advertisement Notification for the Recruitment of Apprentice Vacancies 441 Posts . 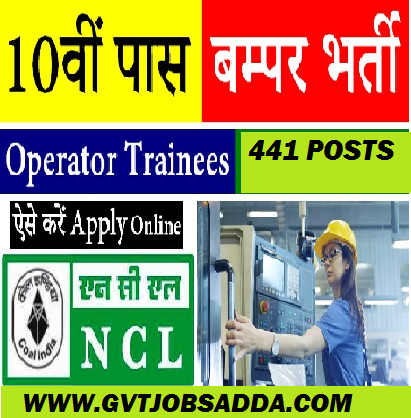 Those Candidates who are interested & eligible for NCL RECRUITMENT 2018 Candidates May Check Official Advertisement Notification for the Recruitment of NCL RECRUITMENT 2018 & apply online before last date of apply online 12-01-2019. Brief Information has given below.